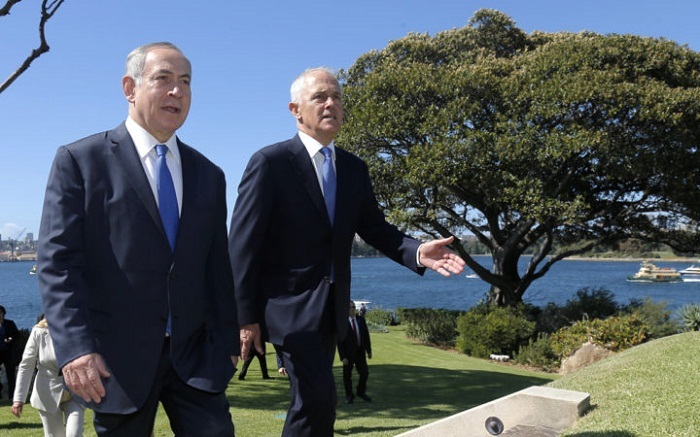 Australian Prime Minister Malcolm Turnbull and his Israeli counterpart hailed bilateral cooperation and shared goals after a meeting that culminated in the signing of several agreements and MOUs. Israeli Prime Minister Benjamin Netanyahu said Thursday that he hoped to triple bilateral trade with Australia as the countries forge closer ties. Bilateral trade is currently worth about $1 billion a year, with Israel sending less than 1 percent of its exports Down Under and Australian products accounting for just 0.3 percent of Israel’s imports. 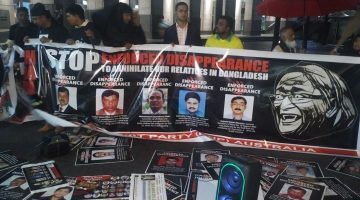 Several hundred pro-Palestinian protesters demonstrated in Sydney on Thursday against the first visit to Australia by an Israeli prime minister, branding Binyamin Netanyahu a “war criminal”. A police helicopter hovered over the city as speakers slammed Australian support for Israel. 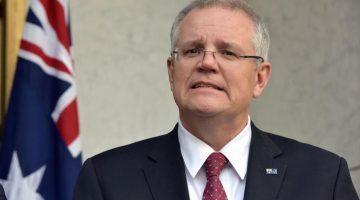 “We are here to oppose Australia’s support for Israel, for a racist apartheid nation,” pro-Palestinian author and Australian lawyer Randa Abdel-Fattah told AFP.